A great many Wills are lost, stolen, damaged, or simply cannot be found, causing untold stress for the family. Our storage facility is fire proof, alarmed, and has video surveillance, ensuring your documents are stored completely safe and can be easily accessed as and when required. Your Executors will have been notified of their location. You can also store other documents such as property deeds, insurance, birth and marriage certificates, Lasting Powers of Attorneys, Trusts, Deeds, etc. We supply a certificate of storage stating what documents we are holding for you. Executor storage cards are also supplied, these look like a credit card and state where the documents are held and how they can be retrieved, when they are finally required. These cards can be given to your executors, family, friends or relatives, ensuring that everyone who needs to know where your documents are stored does so. A small annual charge ensures that you also receive free updates to your Will while they are in storage, so you only pay for your Will once (effectively a Will for life). 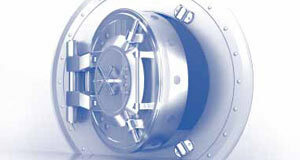 Enjoy free updates to your will(s) while ever they are in the Liberty Legal Services storage vault.